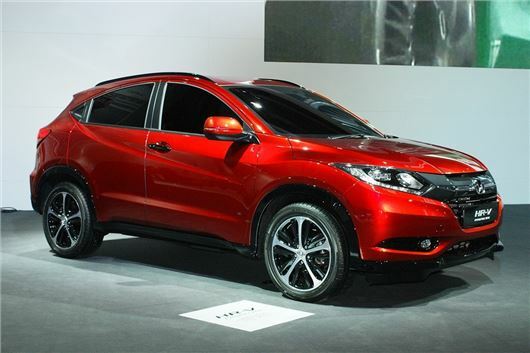 Honda has launched the new generation of the HR-V, a small crossover to rival cars like the Nissan Juke. Sales start in Summer 2015. The HR-V is already available in Japan, where it is called the Vezel. It is based on the same platform at the upcoming new Honda Jazz and is powered by a 1.5-litre petrol engine with 131PS, or as a hybrid with the same engine, plus a 30PS electric motor. The car at Paris is labelled a 'European Prototype' but this is essentially the car that will be launched in the UK next year. The Japanese market car is offered with front or all-wheel drive and a CVT automatic transmission, which you can expect to see in the UK – although final UK specific specifications are to be announced.